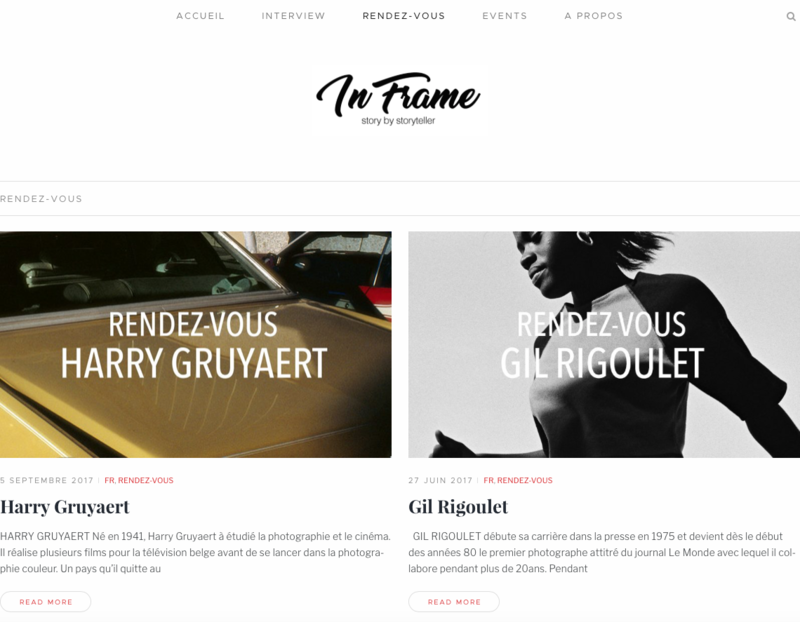 Very happy to announce the opening of In Frame, inframe.fr, a webzine aiming to promote documentary photo projects and that I co-founded with Kalel Koven. This project is supported by Hans Lucas. Co-founded by photographers passionated for images and story telling, In Frame was born to promote documentary projects and exploring the evolving boundaries of a photographic genre that since its earliest beginnings never stopped to look at our lives, our environments, our world in its most unusual and banal form. In Frame is also a simple desire to highlight the work of some photographers. The interviews are made like a meeting between the photographers and the interviewer. They make it possible to ask and answer more personal questions, to report on the construction of a project, the production of a story, but also on the search for funding, the problems encountered. Above all it is about understanding a project by the one who made it. This entry was posted in Blog and tagged inframe.fr, webzine.